UIC students awarded AANAPISI scholarships. All seven students from Illinois who are recipients of the 2017-18 Asian & Pacific Islander American Scholarship awards are students at the University of Illinois at Chicago. The program is the nation’s largest nonprofit organization devoted to providing college scholarships for Asian and Pacific Islander Americans. This year, there were 220 students selected for the scholarships, which range from one-time payments of $2,500, to multi-year $5,000 awards to help pay for their college education. UIC is an Asian American and Native American Pacific Islander-Serving Institution and has received support from the U.S. Department of Education’s Asian American and Native American Pacific Islander-Serving Institution program, also known as AANAPISI. The AANAPISI program is one of eight federally designated Minority Serving Institution programs and was established by Congress in 2007 as part of the College Cost Reduction and Access Act. 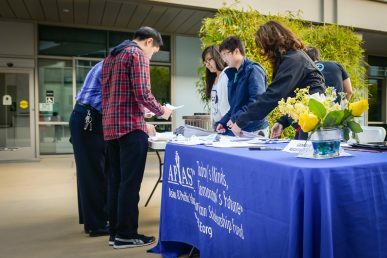 The AANAPISI initiative is designed to offer programs to support the recruitment, retention and graduation of Asian American, Pacific Islander and English-language learners but is also open to other students. The program provides scholarships, expands the number of Asian and Pacific Islander American students in universities and mobilizes local resources to help foster economic development. The scholarships are available annually to students attending partner campuses including UIC. Carlo Ahumada, from Berwyn; Nang Man, from Wheaton; Nancy Bui, from Mundelein; Ju Kim, from Lincolnwood, as well as Tho Nguyen, Komal Sharma and Lahney Vilayhong, from Chicago. The Coca-Cola Foundation, the General Mills Foundation, Hilton Worldwide, USA Funds, the Walmart Foundation, the Walt Disney Company, and the Wells Fargo Foundation support the scholarship program.